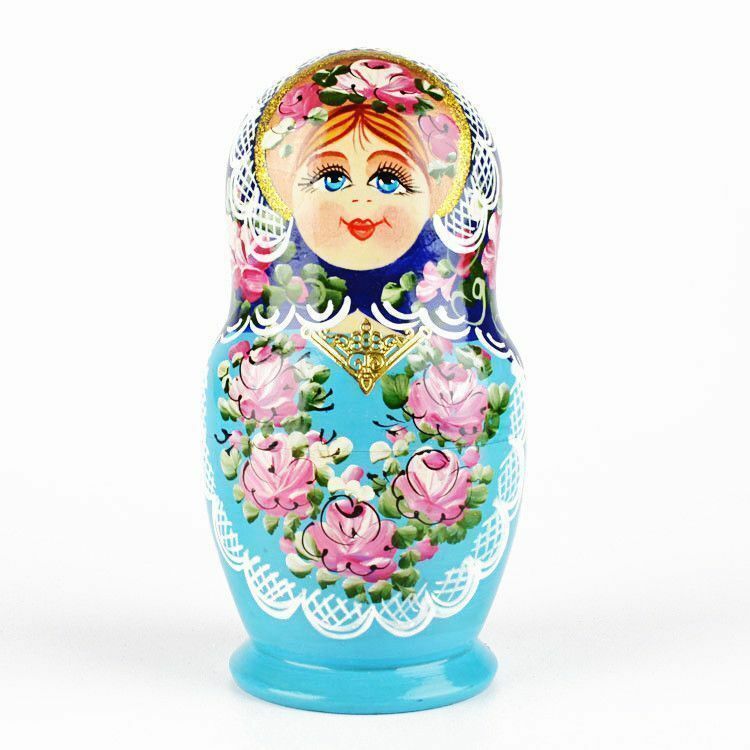 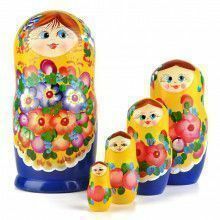 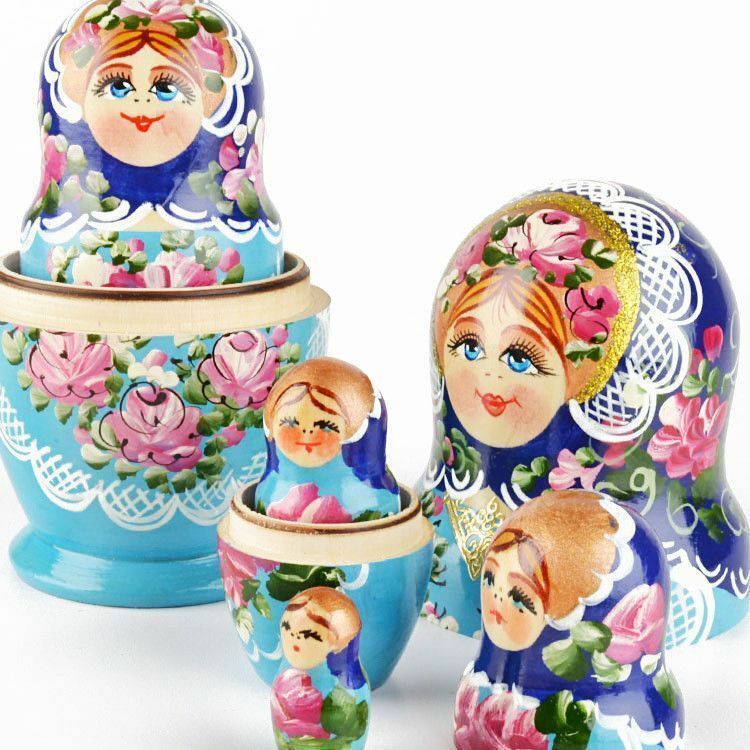 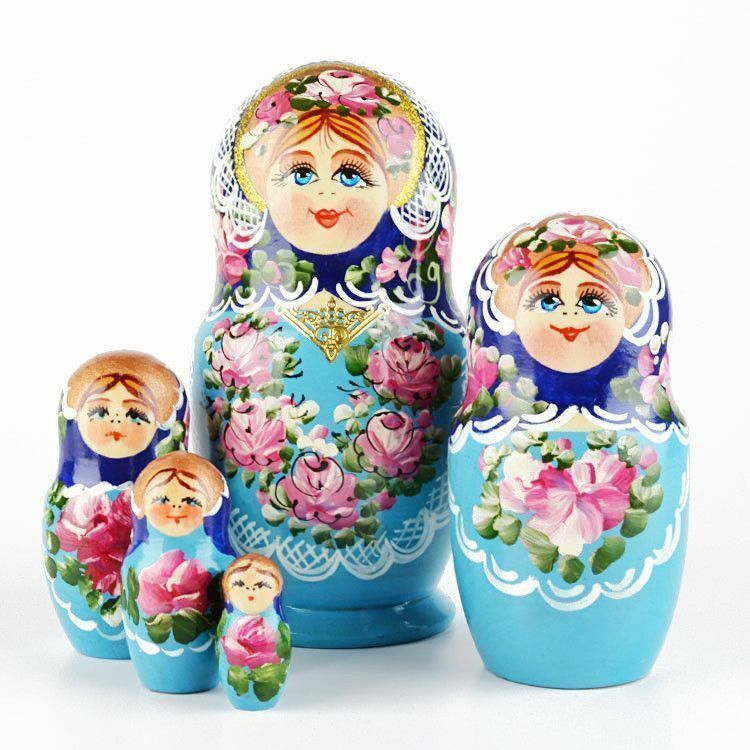 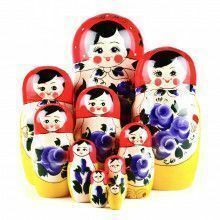 This 6 1/2" tall Russian matryoshka nesting doll is quite beautiful. 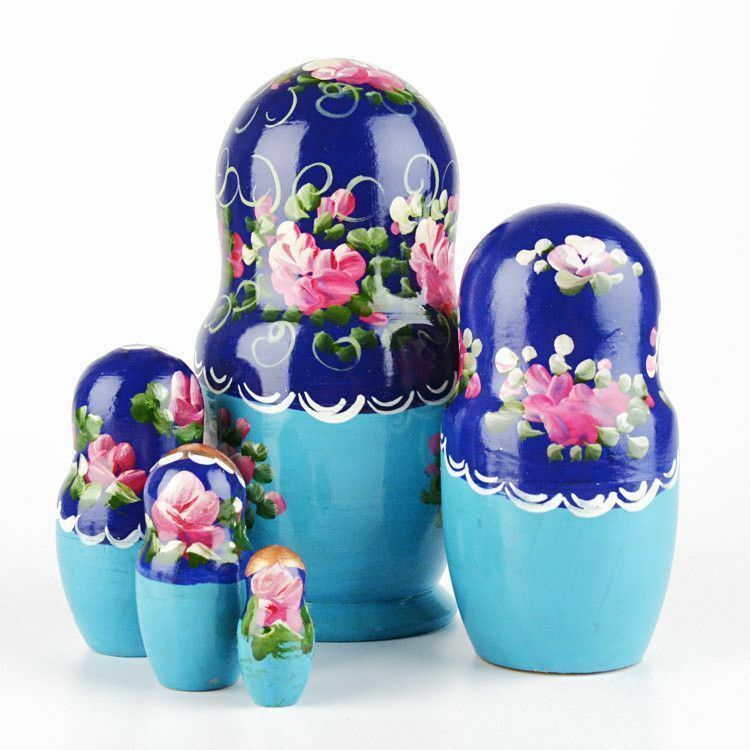 She has a light and dark blue background, with pink painted flowers, and white lace accents. 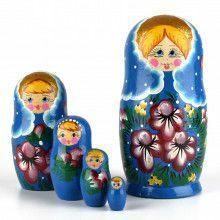 This wooden doll decor would look nice in any room and will make anyone admire it! 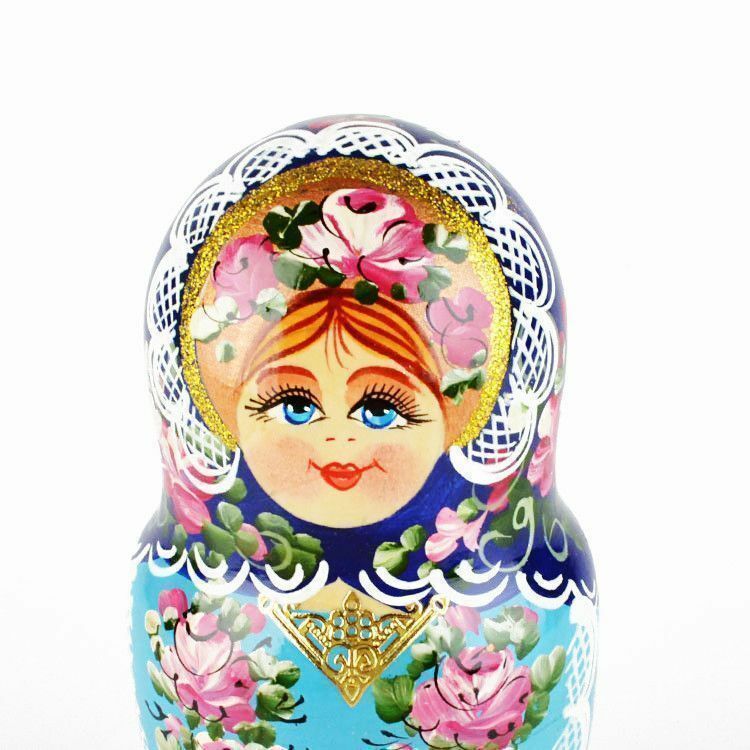 hand-painted and gloss-finished.